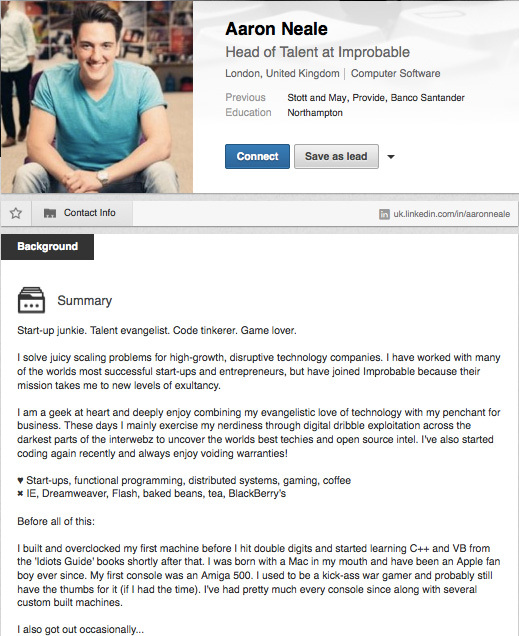 Take a moment and scan your LinkedIn profile. Your picture…headline…summary. Do they paint a picture of who you are as a person and a recruiter? Or, do you just look like any other recruiter on the network? If it’s the latter, it’s time for you to hit the edit button and make some changes that will help you stand out from the crowd and make candidates actually want to talk to you. If you’re thinking “tweaking my profile isn’t really going to make a difference,” think about this: there are 45 million profile views on LinkedIn everyday. This is the #1 activity on the site. When you reach out to candidates, the first thing they do is check out your profile. It’s their first impression of you and possibly your company…so make it a good one. The more you showcase yourself and the company culture, the easier it is for candidates to engage with you and decide whether or not your company is the right fit for them. To get your wheels turning, here are some examples of great profiles that we love. 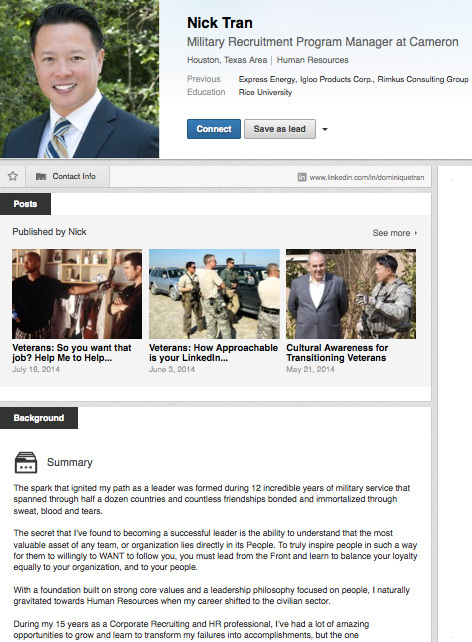 - INSPIRING SUMMARY: Nick’s self-summary showcases how passionate he is about his career and how his experience as a US Army veteran has shaped his HR and leadership philosophy. A very nice way to make any veteran feel comfortable connecting with him. 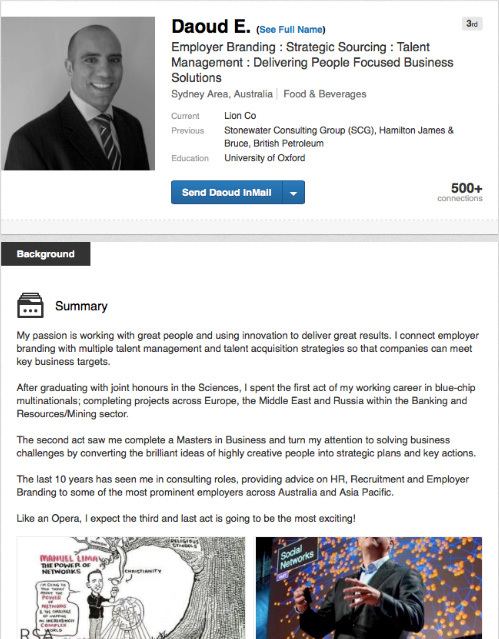 - SHARES ADVICE WITH CANDIDATES: Nick has taken advantage of the LinkedIn blogging functionality and used it to help the job seekers visiting his profile. He posted a few blog posts with specific advice for veterans looking to use LinkedIn for their job search and in this way he adds value to the candidates and also shows his expertise and trustworthiness as a recruiter. - PERSONAL TOUCH: By including a description of the first machine he ever built, Aaron shows engineering candidates that he knows what they’re all about and that he shares their interests. - USES CANDIDATE’S LANGUAGE: By using phrases like “enjoy voiding warranties!” Aaron shows tech talent that he is knowledgeable about their field and establishes commonalities. - RICH MEDIA & VIDEO: Under his current role, Daoud has videos, infographics, and presentations highlighting the culture and mission of Lion, a beverage and food company in Australia and New Zealand. - HIGHLIGHTS EMPLOYEES: Daoud posted two videos highlighting the career transformation of two Lion employees, sending candidates the message that they can transform their career at Lion. 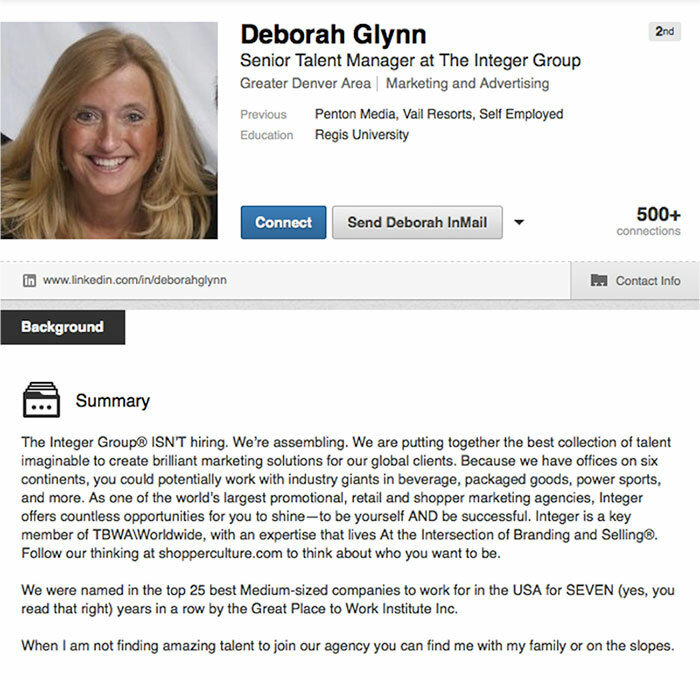 - DESCRIBES IMPACT: By talking about the industry giants employees will be working with, Deborah shows candidates that although they’ll be at a medium-sized company, they’ll have a BIG impact. 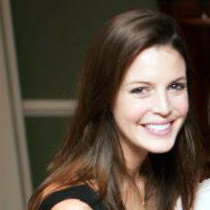 - LINKS TO BLOG: Deborah refers candidates to Interger’s blog, Shopper Culture, to keep them engaged beyond her profile. The blog itself is not just company press releases -- it’s engaging and full of thought leadership articles. * Deborah has changed jobs since this screenshot was taken. Think about the message that you want to get across to candidates -- both your own and your company’s. Yes, don’t be one-sided. Find a balance between showcasing your personal brand and your company’s employer brand. As long as you’re not going outside the company’s brand guidelines, it’s ok to have some have some fun with it and let your personality shine. This will peak the candidate’s interest and make them feel more at ease. For more tips on profiles, as well as personal branding, sourcing, job listings, and talent branding on LinkedIn, download out eBook: LinkedIn Essentials: The Modern Recruiter’s Guide.